This is the updated version of our Family Planner/Organizer (also known as a Time Management Binder.) 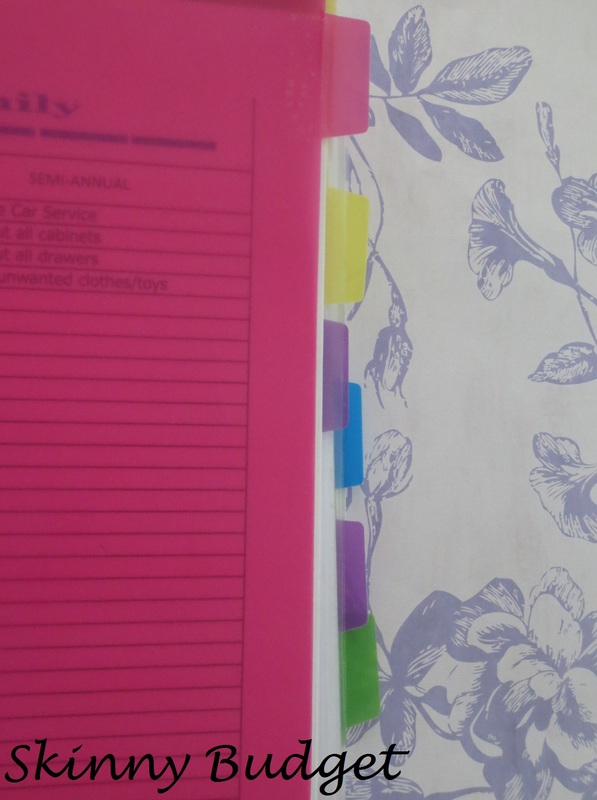 I did some purging and re-arranging of the contents as I started to notice whole sections of the planner that I wasn't using or just weren't helping me stay organized. Routine: This holds my cleaning (daily, weekly and once monthly) schedule, my day-to-day schedule etc in this section. Finances: I took note of what pages do work for me and what don't. 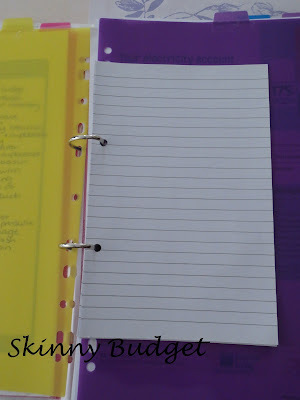 Then put them in a pull out compartment of this planner. Contacts: From the doctor/vet to our family and friends, they're all backed up in this section. I like to have a perpetual calendar at the front of my planner, just being able to see the whole year ahead on one page makes planning events/paying bills a whole lot easier. I don't remember where I got this free template from :( but if you are the owner and want me to link it just leave me a comment. 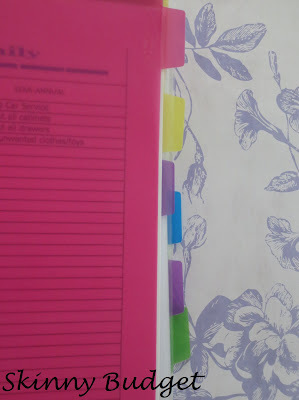 I have a colour legend up the top left on the inside of the planner letting me know what each coloured tab on the binder is for, the tabs are too small to put labels on and I wasn't able to see them when they were on the side of the dividers, so I cut them off and stuck them with some sticky tape up the top for easier viewing. 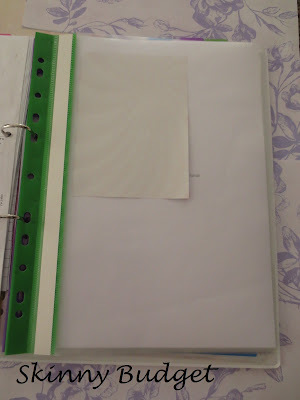 I keep a few paperclips on the inside plastic sleeve area provided, for when I am transferring paper work from the planner to my filing system, they come in very handy! I had personal information in this section, hence why the paper is blocking any writing. I have a purple and a green pull-out, plastic sleeve 'booklet' one is for Menu Planning and the other is for Finances. I got the above menu planning printout from a site called Mrs January. There are some great printouts on the site, I'd definitely recommend having a look! I keep some loose notepaper in my 'Schedule' section so I can quickly write down little reminders or notes to help me through the day. It could be a reminder to buy milk or pay a bill, then at the end of the day I put all the relevant information into my Day Planner. I keep some scrap cardboard/paper stock in the back sleeve of my folder as I am always doing some form of craft project so they do come in handy. The great thing about this type of family planner is that it's always changeable, so if you welcome a new family member, are planning a wedding, have kids starting school, get a new pet etc etc then you can just add new sections in!